Tigers displayed a remarkable comeback in the second Test in Jamaica by dominating the entire morning session as Windies were shot out for 354 in their first innings. Spinner Mehedy Hasan Miraz took five wickets conceding 95 runs. 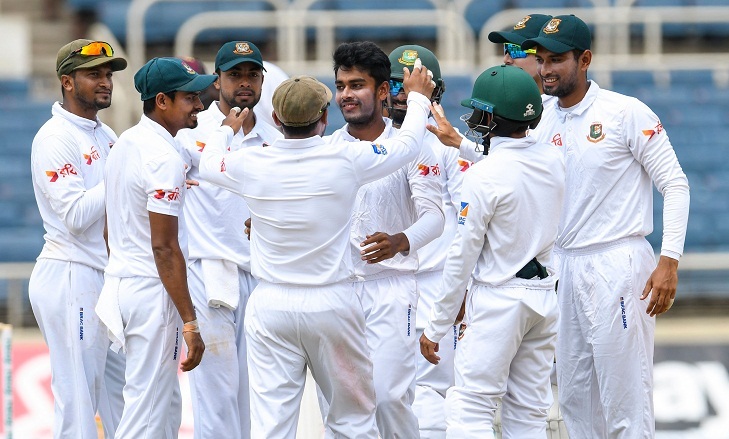 Having posted 295 on the board for the loss of just four wickets at stumps on the first day, the hosts lost their way with Bangladesh making regular breakthroughs. Match situation: Bangladesh trail by 344 runs in the first innings with ten wickets in hand.